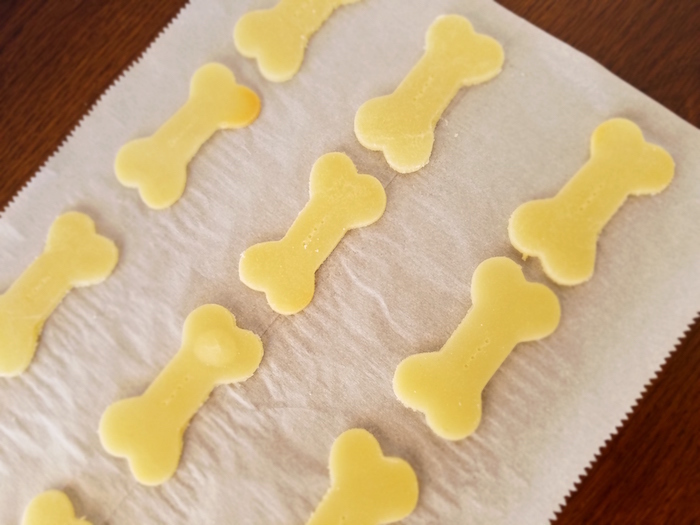 Making hypoallergenic dog treats isn’t really that difficult, as long as you know what type of allergy your pooch has. Yes, I know we advised against making your own hypoallergenic dog food. Treats are a bit different, though. With food, you’re going for complete nutrition. Hypoallergenic dog treats, like human treats, make up very little of your dog’s diet. The key with making your own is, again, ensuring that you understand your dog’s allergies. As you’ll see in the ingredients, this particular hypoallergenic dog treats recipe uses gluten-free rice flour. The chicken broth gives it the flavor (and the name! 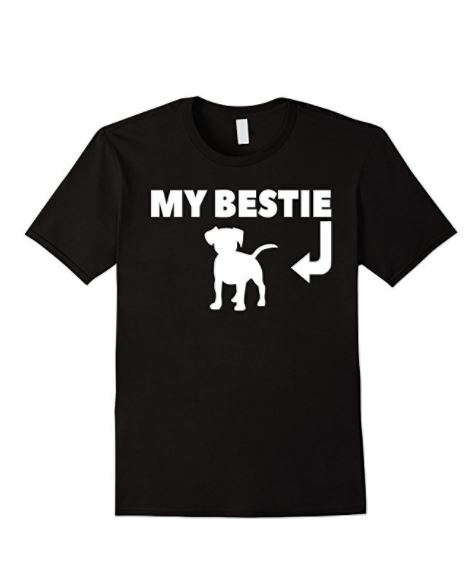 ), but if your pooch is allergic, you can always swap it out with another broth or even just use water. If your dog has serious allergies, check with your vet before making any hypoallergenic dog treats at home. Don’t forget to check our video tutorial and grab the recipe card below. 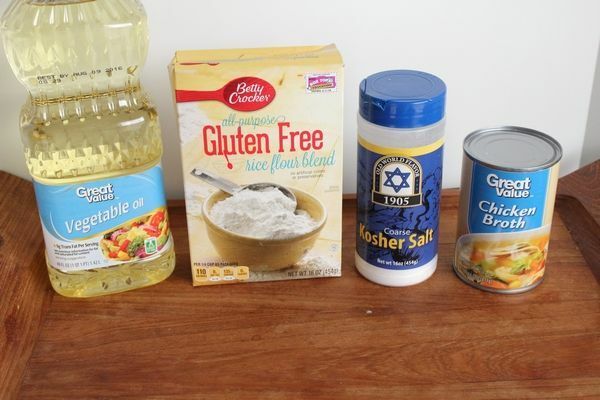 All of these ingredients are easy to find in your grocery store. additional 1-2 tablespoons of liquid to get the right consistency. Knead the dough until smooth, roll out on a lightly floured surface to ¼ inch. Cut out shapes with a cookie cutter or make rectangles with a knife or pizza wheel. Place on a cookie sheet and bake at 325˚ for 15-20 minutes until just slightly browned on the bottoms. 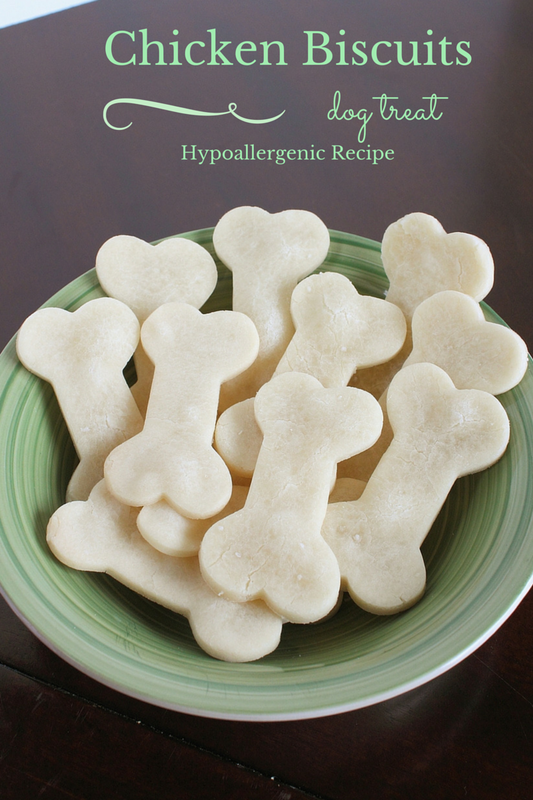 See how easy it is to make your own hypoallergenic dog treats? Just four ingredients and your pooch have his very own chicken biscuits! 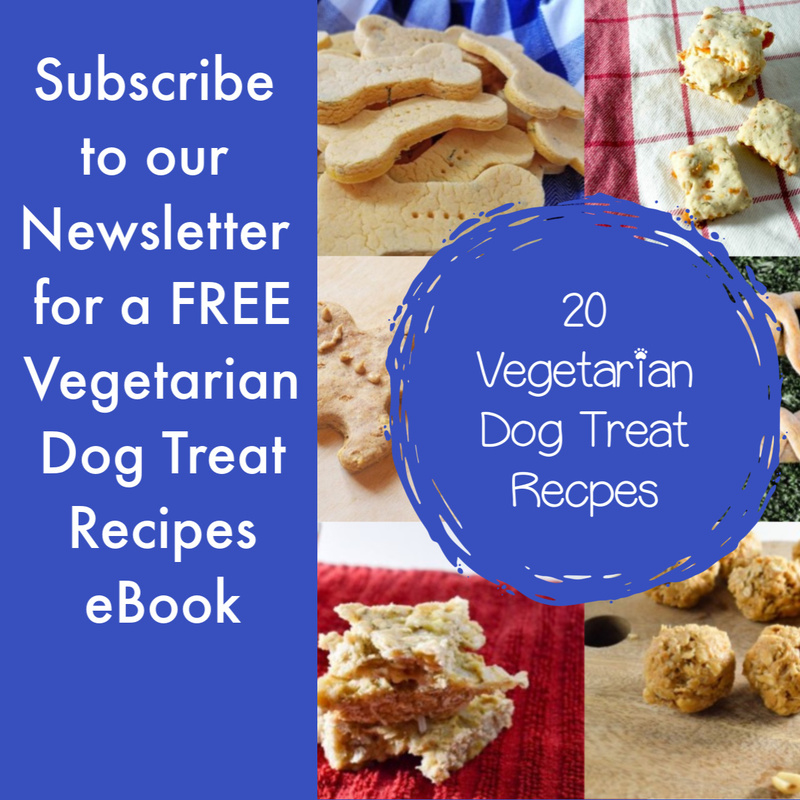 Looking for more easy dog treat recipes? 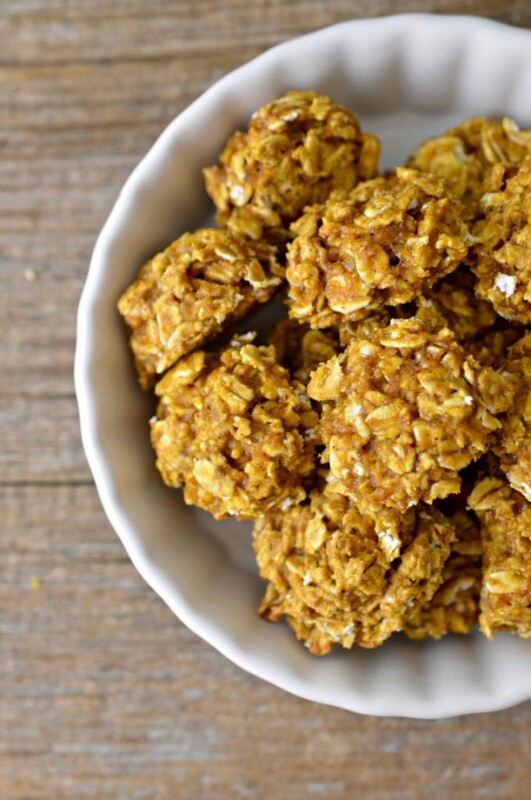 Check out our pumpkin & oats dog treats! 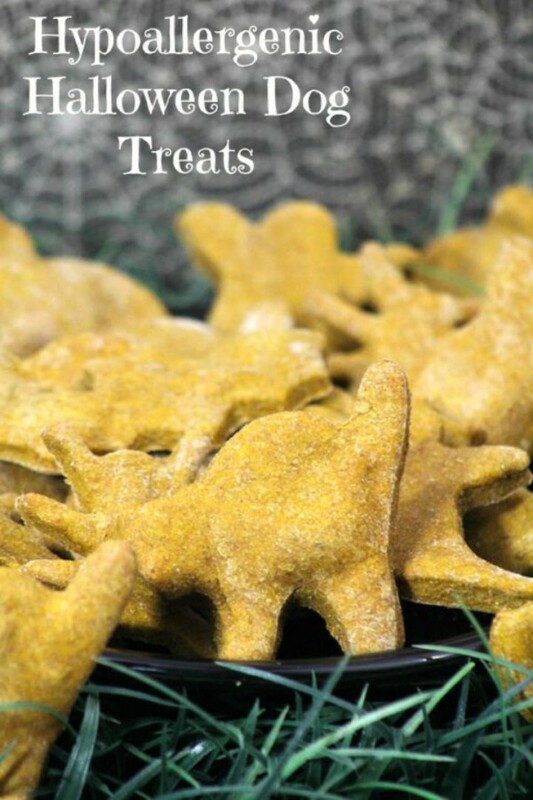 We also have a delicious Halloween Hypoallergenic Dog Treat Do you have a favorite hypoallergenic dog treats recipe? Share in the comments!